All galaxies are permeated by magnetic fields – including our own galaxy Milky Way. The origin of galactic magnetic fields is yet to be discovered; however, new research suggests our galaxy (Milky Way) possesses a dynamo at its core in the very same way the Earth and the Sun produces its magnetic field. A new map of the Milky Way produced by scientists at the Max Planck Institute (MPA) which used a method known as the Faraday Effect. The new map reveals the structure of the galactic magnetic field in both large-scale and small-scale features that provide information about turbulent eddies or rotating channeled flows of charged particles in the galactic gas. 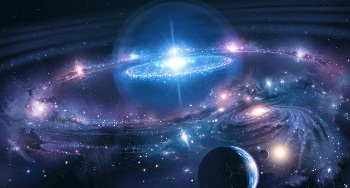 It is this “galactic gas” made up of charged particles which could be funneled in various directions which may have an effect on solar systems including ours. 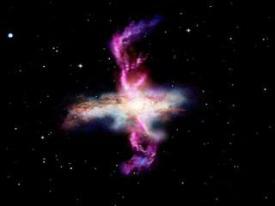 What is being referred to as the galactic dynamo produces cosmic magnetic fields. Therefore, as with all dynamo theories, a pole reversal would apply. What a pole reversal looks like on a galactic scale is unknown. Scientists are now using polarized light which passes through a magnetized medium which measures a segment of the magnetic field and observes its rotation. The amount of rotation depends on the strength and direction of the magnetic field pulse. Observing cosmic magnetic field rotation allows researchers to study the properties of magnetic lay-lines. 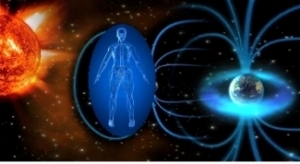 I believe it is the science of magnetically charged particles which will be the instrument of which our ancient ancestors of “all” tribes passed down over hundreds and thousands of years in various forms of ancient text. “It will come from the sky” – and I assert it will come in the form of charged particles – not only from the Sun, but from our galaxy itself. 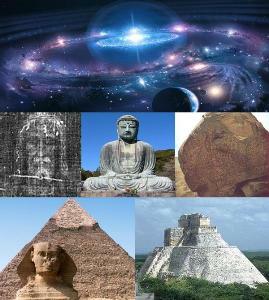 It is my belief science has caught-up (perhaps 90%) with ancient wisdom. I would say it is entirely plausible – we are the generation which will witness the joining of the two worlds. One world of inherent (perhaps innate) wisdom (old) – and one world of modern (learned) science (new). For those of you who have been following the ECM newsletter over the years will recognize a statement I first made in 2007, and now place it in all newsletters: “I believe it will be the magnetic influence produced by the Sun which will usher in what is described by our ancient ancestors as “the transition” bringing us to a new state-of-being”. However, the science community has learned much since 2007. Although ultimately it will be the Sun’s influence which will mostly affect us here on Earth, we can affirm now, it is generated by our galactic center known as Milky Way. This entry was posted in 2012, ancient text, ancient_text, astrology, astronomy, earth changes, earthchanges, earthchangesmedia, earth_changes, galactic center, galactic_alignment, galaxy, hopi prophecy, hopi_prophecy, mayan prophecy, mayan_prophecy, mitch battros, mitch_battros, pole shift, science, solar flares, solar_flares, space, sun-earth-connection, sun_earth_connection, Uncategorized, universe and tagged 2012, ancient text, ancient wisdom, charged particles, earth changes, earthchangesmedia, hopi prophecy, mayan prophecy, mitch battros, pole shift, space, space weather. Bookmark the permalink.